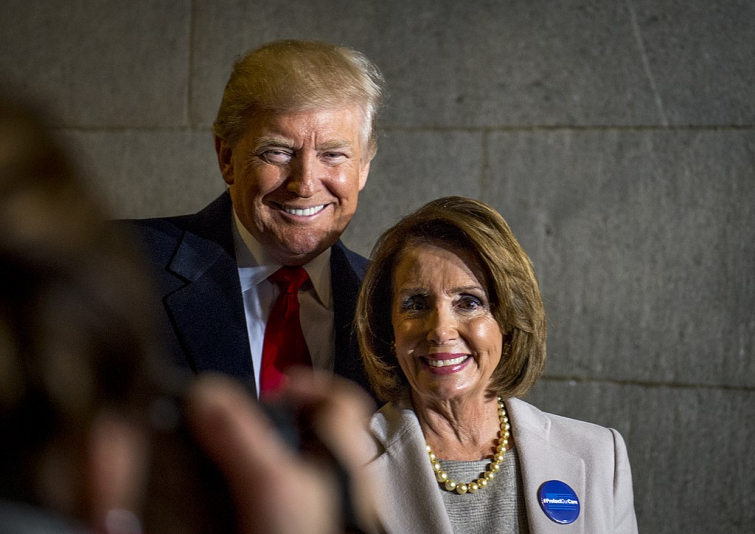 In a speech delivered to a group of Christian university presidents, Speaker Of The House Nancy Pelosi (D-Calif.) appealed on the basis of Scripture for support of several Democrat-led immigration efforts. There's just one problem: the verse Pelosi says she loves to quote from the Bible isn't actually in the Bible. Toward the end of her sermonette on immigration, Pelosi said "...I can't find it in the Bible, but I quote it all the time and I keep reading and reading the Bible—I know it's there someplace. It's supposed to be in Isaiah, but I heard a bishop say..."
Mrs. Pelosi, while reciting the quote, holds up her finger and speaks quite sternly, reminiscent of the liberal Democrat caricature of the "fire and brimstone" preacher, mishandling a verse to promote moralism, and promising damnation for those who don't fall in line. The quote Pelosi offers, as it turns out, simply isn't in the Bible. Slate noted that Pelosi had, as she said, recited this quote at opportune times over the years. In fact, she is on the congressional record saying it at least 12 times from 2002 to 2018. So, it would seem that the anonymous bishop whom Pelosi attributes the quote to was using a paraphrase of that Proverb, not a verse from Isaiah. That's all well and good, but, if you ask me, there's a bigger problem at work with Pelosi's speech. Aside from the "Isaiah verse" farce, Pelosi did, in fact, refer directly to a passage of scripture, namely the parable of the sheep and the goats from Jesus' Olivet Discourse in Matthew. Here's where it gets dicy. This is a selection of Scripture often contorted by those who purport that the Bible supports socialism, or, at a minimum, overly liberal government policies in order to feed and clothe the poor. It's dreadfully myopic to handle the parable this way, as so many do, and focus on doing good works when, in reality, the focus is on the very identification of the sheep and the goats and their relationship to God. "The core message of the Parable of the Sheep and Goats is that God’s people will love others. Good works will result from our relationship to the Shepherd. Followers of Christ will treat others with kindness, serving them as if they were serving Christ Himself," reads an incredibly helpful GotQuestions answer. "The unregenerate live in the opposite manner. While 'goats' can indeed perform acts of kindness and charity, their hearts are not right with God, and their actions are not for the right purpose – to honor and worship God." Twisting Scripture to support an agenda is nothing new. In fact, Luke gives us insight into Satan's readiness to do exactly that when he tempts Jesus, deviously misquoting Psalm 91. No matter who you are, even if you're the Speaker Of The House, you will be held accountable for criminal mishandling of God's Word.